Washington: NASA’s Mars Curiosity team is almost finished robotic arm tests in preparation for the rover to touch and examine its first Martian rock. Tests with the 7-foot (2.1-meter) arm have allowed the mission team to gain confidence in the arm’s precise maneuvering in Martian temperature and gravity conditions. During these activities, Curiosity has remained at a site it reached by its most recent drive on Sept. 5. The team will resume driving the rover this week and use its cameras to seek the first rock to touch with instruments on the arm. “We’re about to drive some more and try to find the right rock to begin doing contact science with the arm,” said Jennifer Trosper, Curiosity mission manager at NASA’s Jet Propulsion Laboratory in Pasadena, Calif.
Two science instruments — a camera called Mars Hand Lens Imager (MAHLI) that can take close-up, colour images and a tool called Alpha Particle X-Ray Spectrometer (APXS) that determines the elemental composition of a target rock — have passed preparatory tests at the rover’s current location. The instruments are mounted on a turret at the end of the arm and can be placed in contact with target rocks. Curiosity’s Canadian-made APXS had taken atmospheric readings earlier, but its first use on a solid target on Mars was this week on a calibration target brought from Earth. X-ray detectors work best cold, but even the daytime APXS tests produced clean data for identifying elements in the target. “The spectrum peaks are so narrow, we’re getting excellent resolution, just as good as we saw in tests on Earth under ideal conditions,” said APXS principal investigator Ralf Gellert of the University of Guelph in Guelph, Ontario, Canada. “The good news is that we can now make high-resolution measurements even at high noon to support quick decisions about whether a sample is worthwhile for further investigations,” the scientist added. The adjustable-focus MAHLI camera this week has produced sharp images of objects near and far. MAHLI is also aiding evaluation of the arm’s ability to position its tools and instruments. Curiosity moved the arm to predetermined “teach points” Sept. 11, including points above each of three inlet ports where it will later drop samples of soil and powdered rock into analytical instruments inside the rover. Images from the MAHLI camera confirmed the placements. Photos taken before and after opening the inlet cover for the chemistry and mineralogy (CheMin) analytical instrument also confirmed good operation of the cover. A test last week that checked X-rays passing through an empty sample cell in CheMin worked well. It confirmed the instrument beneath the inlet opening is ready to start analyzing soil and rock samples. Google has a new feature it hopes will keep Music Beta users tuned in. The Web giant today launched Google Magnifier, a new feature to help users of its online music-storage service discover and obtain new music. 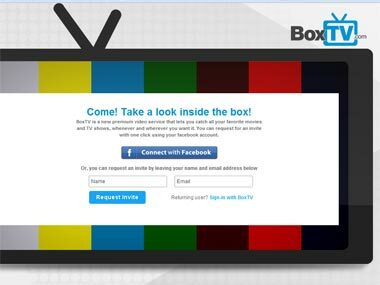 In addition to free music tracks, the site has videos of live performances, artist interviews, and a chance to explore music genres. The move is an effort by Google to distinguish its Music Beta service from competitors such as Amazon’s Cloud Music and Apple’s forthcoming iCloud service, which is expected to launch in the fall. Google’s music-storage service, which launched in May, lets people upload their music libraries and replay them on PCs and mobile devices. 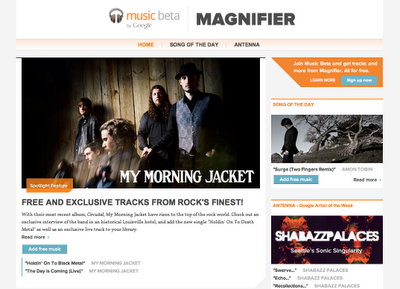 Google is kicking off the service by giving away two tracks by Grammy-nominated indie rock band My Morning Jacket to Music Beta users. The thread shows a brutal honesty about what it’s like to work at Google, at least from the point of view of employees who were unhappy enough to resign. Top amongst the complaints is low pay relative to what they could earn elsewhere, and disappearing fringe benefits seemed to elevate the concern. Other popular gripes – too much bureaucracy, poor management, poor mentoring, and a hiring process that took months. A few of the posts are more positive, and frankly there isn’t a whole lot here that you don’t see in other big companies. Those of us who failed to thrive at Google are faced with some pretty serious questions about ourselves. Just seeing that other people ran into the same issues is a huge relief. Google is supposed to be some kind of Nirvana, so if you can’t be happy there how will you ever be happy? It’s supposed to be the ultimate font of technical resources, so if you can’t be productive there how will you ever be productive? The full thread is below. Subject: Re: So… Why’d you left, guys? I mean, seriously. Actually, I hit the Send button on this before I intended to. poor bargain I’d made affected my performance. level, and the fact that it’s “quirky” is no mitigation. tired, familiar standby (“People don’t work at Google for the money. > tired, familiar standby (“People don’t work at Google for the money. of dollars per day” – and it just didn’t jive well with me. left, was 3 billion. 22 million a year? Less than 1% of their *profit*. I also left Google after only 5 months. meeting, and have only good things to say about these 2 guys. par with what I earned before. big ideas I could do if I ever worked there. It’s no surprise that they push to extend what the browser can do. to lunch and instead she took me in a conf. room and interviewed me. think Larry is such an excellent judge of character. influence change because they are micromanaged by the Execs. enjoying the benefits of a start-up culture again. I’m enjoying this group and this thread. bought shares in 2004, so I hope they continue to be very successful. it seem magical, but I really do treasure the time I spent at Google. performance, bad safety rating, expensive maintenance, etc. were only two days of my six months there that I didn’t dread going to work. short to deal with jerks so I felt I had no choice but to leave. on nor who to work for. the number of people interviewed. support people I talked to complained a lot about their situation. look a lot better on the job market. My biggest pet peeve was the management, or lack thereof, at Google. I worked in Mountain View for 3 years before moving to New York. to get noticed by Mountain View. of good reasons people have great experiences there. control over, I felt like a lot of my energy got wasted. in terms of not being corporate world pillagers. It looks like most of us have same story to tell…. My case resembles that of Bob …. as I had the option to work in day shifts. is what it is in India. Techs have to do all the crap apart from some good work. I like Logan’s example … good decision. I had to wait 9 months before they hired me, but it was definately worth is. patience to wait and it was definately worth it! the world that have so many smart and ambitious people. and providing management with more authority, also ouside of US. pretty good at numbers, right? a small company of like 500-600 people to 16,000 now. > I’m somewhat tempted to reply with my own list, but I’m curious ..
> back to the board, bring it to someone who cares). Google are faced with some pretty serious questions about ourselves. experience at Google and re-evaluate ourselves. inevitably seep back into Google and do some good after all. First, I was really disappointed with the salary that Google offered. dipping into savings during the second month just to pay the bills. some, but Google’s the only company that has ever done that to me. Again, that’s mostly my fault; I made a naive assumption. from Indiana in 3 days; I’ve done it many times. Anyway, Google should know that good engineers are in high demand. I am most skilled at doing, and I could never say that about Google. the mini-kitchens. I hope that 20 cents a day was worth it to them! unfulfilled time and time again. close to what I thought it would be. “Status Change Request Form” will forever haunt me. same office as said manager of mythological Greek she-monsters. for most highly left-brain types. even as a passing thing, it might be of some interest. was pitched one when I joined. exist and suddenly it did, you can’t help but feel confused. The food was amazing though. Here is an image from NASA showing the small size of our planet earth as compared to other planets and stars. Who else wants to know how to tell if someone is lying? Not sure your getting the truth, the whole truth, and nothing but the truth? To tell if somebody is lying you must pay extra close attention. Lie detection requires that you watch for changing attitudes, shifting gestures, change in tone of voice. The mood and actions of the person will give away a lot. In the poker world these are called “tells”. Human nature being what it is, most people have “tells” and indicate that their lying with their body language. Lying is a universal human trait, children learn to lie convincingly by the age of five. But most people also are conflicted about lying for two reasons, they have been brought up to believe it is immoral to lie, and they understand there is a risk of getting caught in the lie. And there’s the rub. You and I can expose the deception and tell if somebody is lying because they will be under some amount of stress, however minute, and will tell us they are lying with nonverbal cues. In order to detect if someone is lying you must first know enough about them to know how that person “normally” behaves and answers questions. This can be done by establishing a rapport with the person and talking about things that the person is comfortable with. Pay close attention and determine how the person normally reacts in conversation, how they answer questions, and their body language and tone of voice. Now ask the person some questions that you think they would lie about, if there is a large change in behavior this is a strong sign of lying. When a person is being honest they are more likely to have an upright, forward leaning posture. They will have an open posture and be relaxed. If someone is lying they will likely have a slouched, back leaning posture. They will be stiff and look uncomfortable. When a person is lying they are under stress, a person under stress will slouch backwards to remove themselves from the uncomfortable situation. Not only can you tell if a person is lying based on body language but when you are speaking with a person they will give you verbal cues that indicate deception. How can you tell if a person is lying based on what they say? The next time you watch a press conference and the person get’s handed a tough question you will see the type of language that is used to decieve (PR people and politicians especially). Someone who is telling the truth will usually directly answer the question asked of them. Why not, there is nothing being hidden. Someone who is not telling the truth will answer the question in a round about and confusing manner, answer a completely different question, or not answer the question at all. A sure sign of lying. A person telling the truth will usually deny it in a broad non-specific manner. Lying, however, causes the individual to be specific in their denial, providing unnecessary details. This is most likely caused by the person attempting extra hard to attain believability and avoid getting caught in the lie. If it’s the truth the denial will be confident, if it’s a lie the liar will back up the denial with an oath. Methinks, thou doth protest too much! People who are telling the truth will use descriptive language when telling a story, this is because it actually happened, and they remember it. Liars will be vague when telling a story, painting a picture with words is hard to do when you are making it up. If a person is not lying then they will be able to respond spontaneously. Easy Peasy. If a person is lying it takes more mental energy, the lie will sound rehearsed. Truthful answers will be given at the general speed of the conversation, lies will be told very quickly or after a delay, stalling tactics are often used by the person who is lying, such as asking “can you repeat that”. When telling the truth a response usually builds speed, pitch, and volume as it is being told while it is a lying sign if the response becomes slower, lower, and quieter as it is told. It’s often said that if a person doesn’t make eye contact that they are lying but that is not always true. As some people will look back into there head to retrieve a memory or formulate a response. On the other hand liars may well stare you in the eye because they don’t need to retrieve any memories and they are “trying” to appear as telling the truth and are afraid to look away. Where the eyes look while speaking can indicate a lie, but this is a very complex subject and depends on the question being asked and normal brain response.